A versatile concentrated Fabric Conditioner using essential oils to leave clothes soft, static-free and delicately fragranced. For use in Automatics, Twin-tubs and for conditioning delicate fabrics by hand. 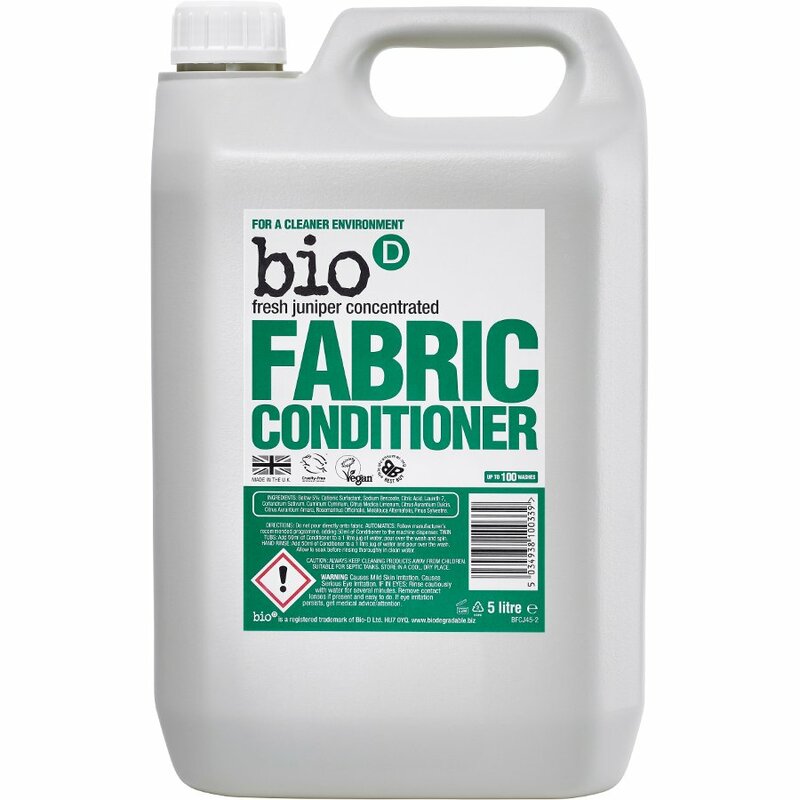 The Bio D Concentrated Fabric Conditioner - Fresh Juniper - 5L product ethics are indicated below. To learn more about these product ethics and to see related products, follow the links below. This was a great buy. I took a chance on the fragrance as I hadnâ€™t had it before but itâ€™s lovely. Itâ€™s fresh and natural and not overpowering and itâ€™s good for clothes. 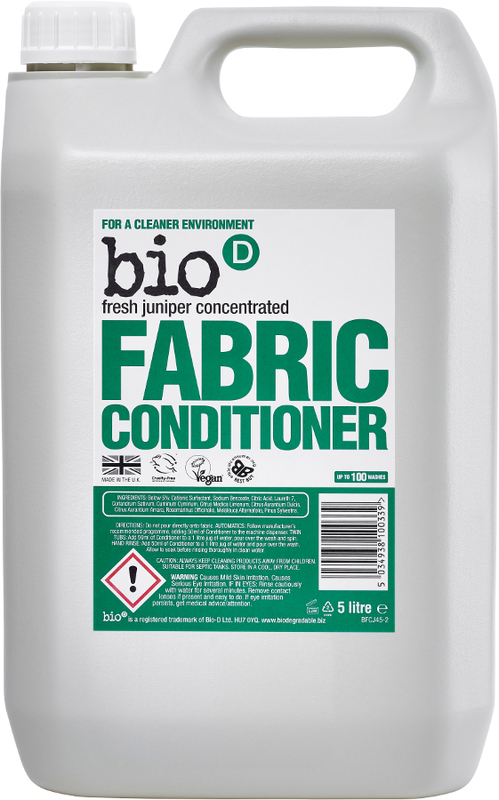 There are currently no questions to display about Bio D Concentrated Fabric Conditioner - Fresh Juniper - 5L.